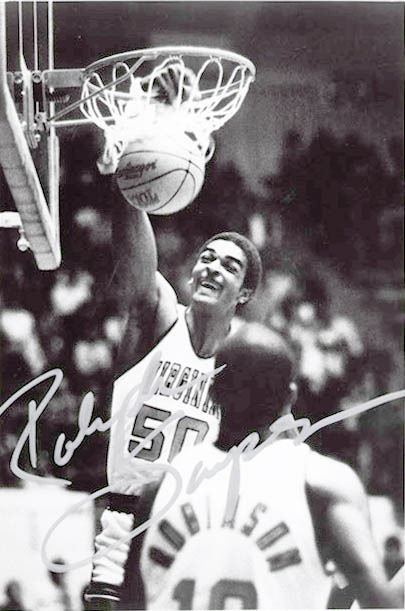 When Ralph Sampson signed a letter-of-intent to play at Virginia on May 31, 1979, he provoked more hoopla than any other Virginia ballplayer ever has before or since. At his final game at UVa played before a packed house at U-Hall on March 6, 1983--one of the best basketball games a Charlottesville audience has ever seen--he generated more tears. In the time in between, the 7'4" center fashioned the most spectacular career of any Virginia basketball player in school history. Sampson led Virginia to 23 straight wins in 1980-81, en route to the nation's # 1 ranking. He averaged a double-double on the way to his first of three Naismith National Player-of-the-Year honors, and Virginia reached the Final Four for the first time in its history. He continued to play brilliantly in his last two seasons, becoming the #1 draft choice of the Houston Rockets in 1983. He earned NBA Rookie-of-the-Year honors in 1984 and led the Rockets to the NBA finals in 1986. Sampson saw his career curtailed by injuries that would eventually force his early retirement. Today, he lives in Richmond where he works with local basketball teams, operates basketball camps, and has his own line of clothing. NIT FINAL PLAYOFF, VIRGINIA vs. MINNESOTA Photograph of Ralph Sampson and Kevin McHale. 1980 March 19. Photograph by Lisa O'Donnell. 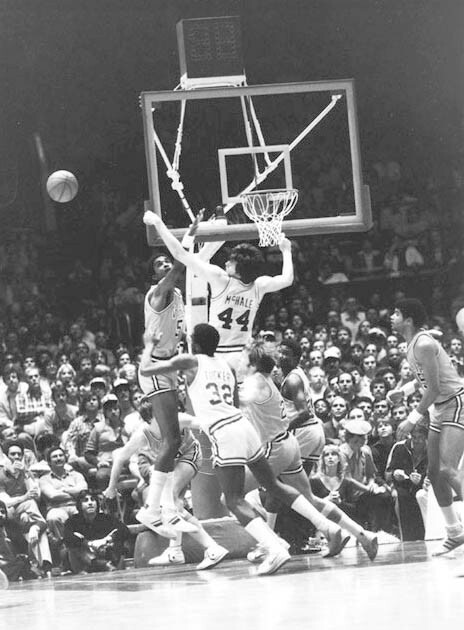 In this photo, Sampson and McHale of Minnesota battle it out under the hoop in the 1980 National Invitation Tournament play-off match. UVa won the championship 58-55 and Sampson became the first freshman to be named Most Valuable Player.